While much has been made of Romney's statement about the 47%, what about the various statements that Obama has made about selected voters? How about his famous bitter clinger statement about Americans who cling to God and Guns in 2008 or his famous, “You didn’t build it" speech? 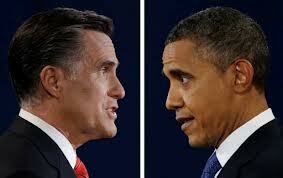 With those two speeches, you can make the case that Obama threw at least 60% of Americans under the bus, if not more. About 80 to 90% of Americans believe in God and at least 40% go to Church weekly. So can we say that Obama insulted 40% of Americans who believe in God and are active in their Church? Why are they bitter clingers? Because they cling to God in times of trouble? How many Americans are gun owners? It is estimated as many as 50% of American households and 30% to 35% of adults own guns. So does Obama hate those 30% adults who are gun owners, and if you assume that many Church goers and gun owners are one and the same, you can assume that you have at least half of America in these two groups and most likely more. Then there are at least 25% Americans who own their own businesses or are self-employed and Obama mocked them with his famous “You didn’t built it.” Now if you combine all three groups, you could almost make the case that Obama has managed to disparage as many as 70% of Americans. So does it mean Obama hates you if you are a gun owning, self-employed Church goer? Okay, I am taking this to the extreme but so are those who view the Romney 47% statement that he hates half of America, or I should say less than half of America. Are those people taking Romney's statement to the extreme? So the next time some Democrats throw the 47% at you, simply say Obama hates 70% of us who go to Church, believes in the second Amendment, or runs our own businesses. Then look at a liberal friend and ask, so does that mean Obama hates America? Now that should put this 47% in perspective.